Praise be to God, blessing and peace be upon our sir Mohammed, the chosen prophet, his family, his companions and all his lovers. After answering the questions of our non-Muslim brothers who want to know more about Islam, they were published in our book: Questions of Non-Muslims. As people who asked those questions were non-Muslims, they had some suspicions about Islam as a religion, the personality of prophet Mohammed and things happened during his lifetime, the book of Islam which is Qur'an and some legislations ordered by Islam. All this needed rational evidences to persuade people who asked such questions. There were also some questions about the existence of God and they sought evidences and proofs for the existence of God. We answered those questions and others in a modern way depending on logic, rational and scientific evidences. Then we had lots of other questions on our site from non-Muslims in Arabic and other languages too. 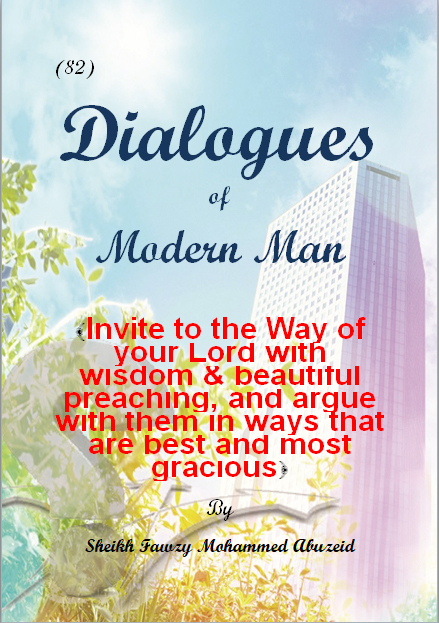 We translated those questions, put aside those questions we answered before in our book: Questions of Non-Muslims, then we answered these questions following the same previous method depending on logic, rational and scientific evidences. We hope people who asked them find them persuading, leading and guiding to the right path. I beg God to make people who read it knowledgeable after ignorance and guided after misguidance. I beg God to make certainty stronger in the hearts of Muslims and dispel suspicions and illusions from the hearts of hesitant people. I also beg Him to make it a light guiding the hearts of confused and those who are thirsty for truthful knowledge among all people. May the blessing and peace of God be upon our sir Mohammed, his family and his companions.